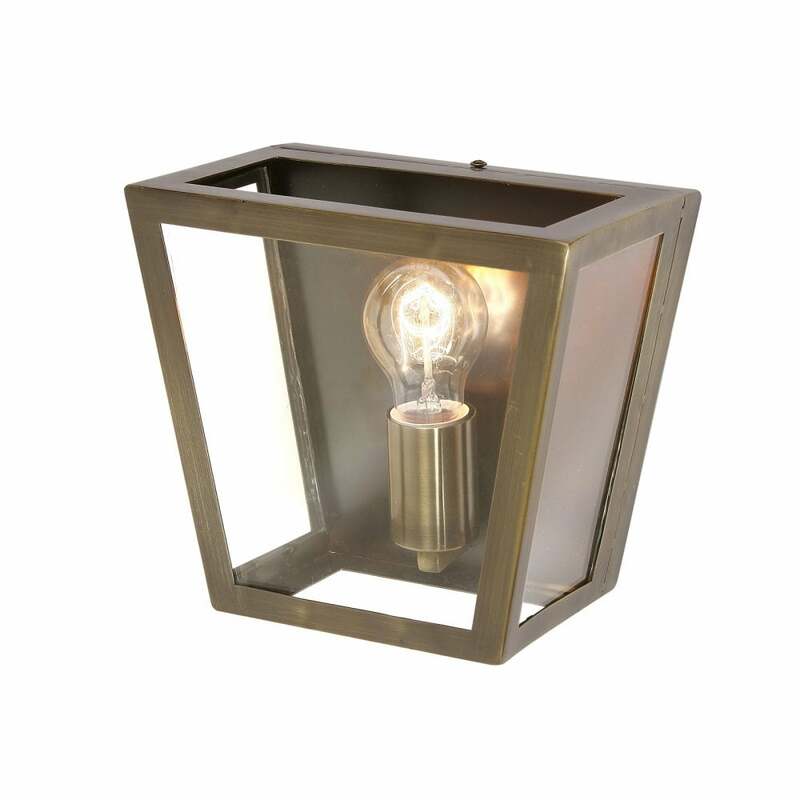 Oaks Lighting Riga single light wall fitting features a tapered, antique brass finish angular frame with clear glass panels. This simple design is a modern take on the traditional fisherman style lanterns which were common during Britain's industrial era, and teamed with a vintage filament lamp will complete the look. The product code is 1524 WB AB. Also available in copper finish and a single or 4 light pendant to complete the look,all can be viewed on our website.